A torso in a suitcase looks like an impossible case. But Sean Duffy isn’t easily deterred, especially when his floundering love life leaves him in need of distraction. So, with Detective Constables McCrabban and McBride, he goes to work identifying the victim. The torso turns out to be all that’s left of an American tourist who once served in the US military. What was he doing in Northern Ireland in the midst of the 1982 Troubles? The trail leads to the doorstep of a beautiful, flame-haired, twenty-something widow, whose husband died at the hands of an IRA assassination team just a few months before. 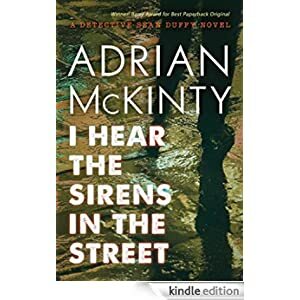 Suddenly, Duffy is caught between his romantic instincts, gross professional misconduct, and powerful men he should know better than to mess with. But, being a legendarily stubborn man, he doesn’t let that stop him pursuing the case to its explosive conclusion.